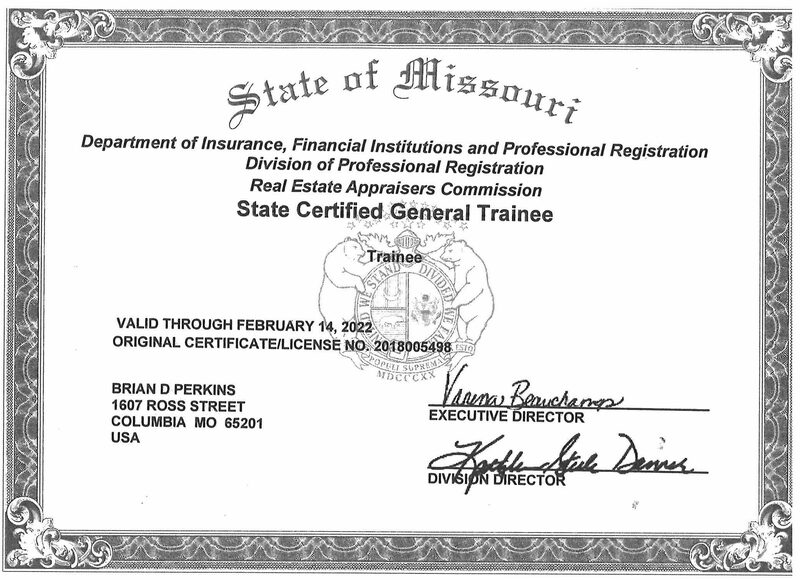 The State of Missouri conducts a program of qualifying education for its appraisers. Appraisers who meet the minimum standards of this program are awarded certification. Mr. Perkins is a licensed trainee under the General Certification process. Please download his qualifications above for an up-to-date list of qualifying and continuing education completed. Mr. Perkins has provided appraisal and consulting services throughout Missouri involving most property types including residential, land, multifamily, office, retail, and industrial properties. Mr. Perkins provides assistance in completing the annual Columbia Apartment Market Survey.